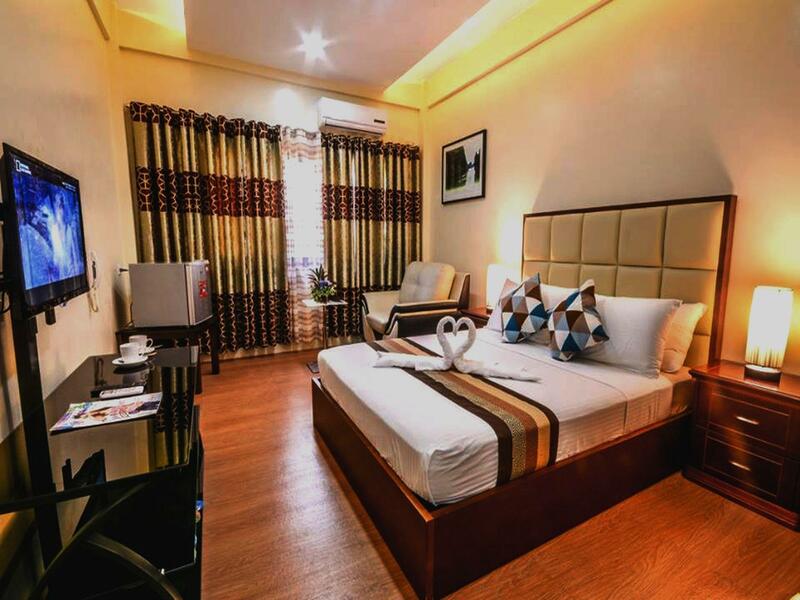 Το Rema Tourist Inn, που βρίσκεται στη Puerto Princesa, είναι το ιδανικό σημείο αναχώρησης για τις εκδρομές σας στη Palawan. Μόνο από το κέντρο της πόλης, η στρατηγική θέση του ξενοδοχείου διασφαλίζει ότι οι επισκέπτες θα έχουν γρήγορη και εύκολη πρόσβαση σε πολλά από τα τοπικά σημεία ενδιαφέροντος. Με την βολική του τοποθεσία, το ξενοδοχείο προσφέρει εύκολη πρόσβαση στους προορισμούς της πόλης που πρέπει οπωσδήποτε να δείτε. Το Rema Tourist Inn προσφέρει άψογη εξυπηρέτηση και όλες τις βασικές ανέσεις στους ενθουσιώδεις ταξιδιώτες. Αυτό το ξενοδοχείο προσφέρει πολυάριθμες εγκαταστάσεις για να ικανοποιήσει ακόμα και τους πιο απαιτητικούς πελάτες του. Όλα τα καταλύματα διαθέτουν τις απαραίτητες ανέσεις για να εξασφαλιστεί μια ασυναγώνιστη αίσθηση απόλαυσης. Είτε είσαστε λάτρης της γυμναστικής είτε ψάχνετε έναν τρόπο να ηρεμήσετε μετά από μια δύσκολη μέρα, θα σας ψυχαγωγήσουν καταπληκτικές δραστηριότητες όπως οι εξωτερική πισίνα, μασάζ, παιδική πισίνα, κήπος. Το Rema Tourist Inn είναι μια έξυπνη επιλογή για τους ταξιδιώτες στη Palawan προσφέροντας κάθε φορά μια ήρεμη και ήσυχη διαμονή. For the price we paid, we got pool access, breakfast, comfortable beds, and nice treatment from the staff. The room was much bigger than what we expected. For sure we'll come back and recommend it to others! Dear, Good Day! Thank you very much for commending our staff and sharing a great review. We work really hard to offer a great accommodation and we are happy that it reflect on your stay with us. It's always been our goal to provide you a comfortable place to rest. Hope to see you again here on your next vacation. Great location nearby city. Near SM mall. Affordable price. Staffs are very accommodating & friendly. We just have small issue as one of the room we stayed the beds were not properly checked there are tiny black thing like spider web. Maybe they were in a rush coz we just requested that we prefer adjacent rooms since we booked 2 rooms. Also the pool is only up to 10pm. It could have at least until midnight. Then it will only open at 8.30am which is so hot already & its outdoor pool. Dear, Thank you for your wonderful review. Thank you for commending our staffs. 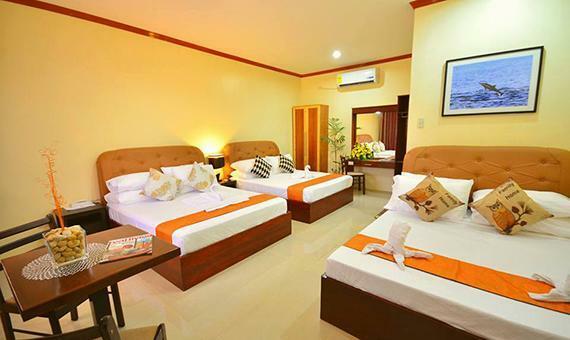 Our heart is pounding with joy to know that we provided you a quality service on your vacation here in Palawan. Rest assured that we take actions with all your concern. Thank you for stating your side. Hope to see you again on your next vacation. Thank you and Have a nice day. Dear, Regarding your booking with us. You booked march 1-2 instead of March 2-3. You called us if we can help you, after the call we were try to call you but it's unreachable, so we texted you, that the room is forfeited and it can't be cancelled due to cancellation policy since it was booked thru agoda that day. We apologies for whatever matter that may cause to you. Thank you so much. Dear, Good Day! Thank you very much for commending our staff and sharing a great review. We work really hard to offer a great accommodation and we are happy that it reflect on your stay with us. It's always been our goal to provide you a comfortable place to rest. You will surely be missed. Hope to see you again here on your next vacation. It’s well worth the price. Not the perfect place if you like to sleep longer- nice to have a free breakfast but not if it closes at 9. reception area very noisy at 7 am so better get a room far from it. Dear, Good Day! Thank you for sharing your review with us. . Rest assured you that we take actions with all your concern. Thank you and Have a nice day! The water flow in the restroom is too weak. The room is spacious and the pool is good. The beds are comfortable but they just provide fitted blanket. The location is a bit far from the main h-way. The breakfast is good, though the coffee doesn’t taste like coffee. It is so plain. I also personally asked them to book us an island hopping tour, but they forgot, good thing our relatives there booked us a tour for the day. Dear, Good Day! Thank you for sharing your review with us.Rest assured you that we take actions with all your concern. Thank you and Have a nice day! 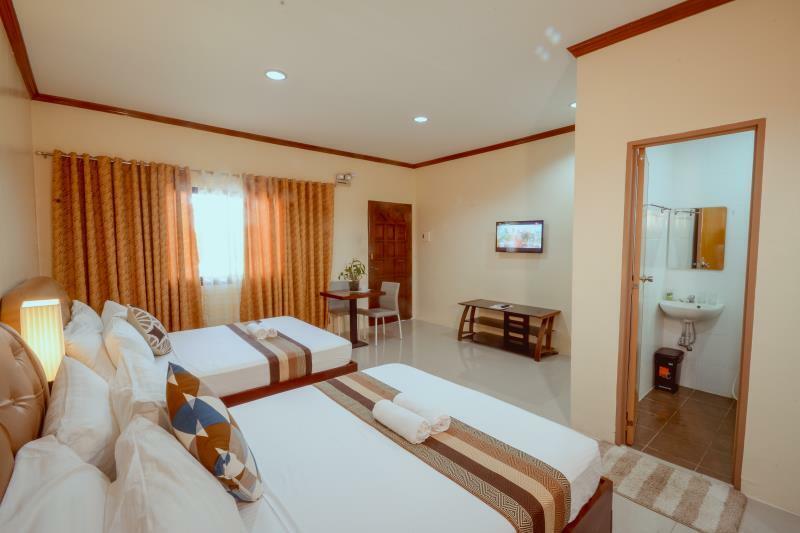 I first found out about Rema Tourist Inn when I first visited Puerto Princesa last year and our tour van picked up some people from this hotel. I was so impressed with how it looked and so when I traveled back this week, I immediately booked this hotel! Great value for money, great staff ahd the airport transfers are so convenient! The pool is amazing and the rooms are exactly how they look in the photos. My one problem is that I wish the water was complimentary, but that’s fine as we were able to buy water when we went out naman. Would definitely stay again! Dear, Thank you for your wonderful review. 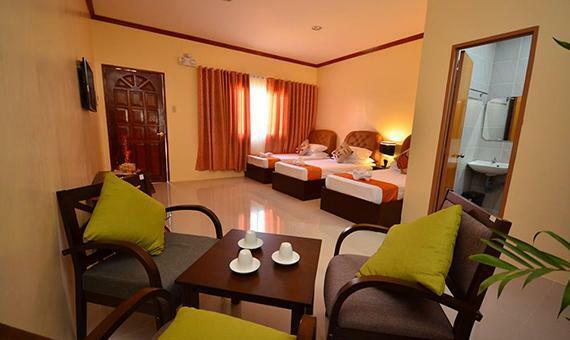 Our heart is pounding with joy to know that we provided you a quality service on your vacation here in Palawan. Everything that we worked hard for pays off with all your praises. We take pride in rendering quality service and best accommodation and it's a privilege that we've met your expectation. You will surely be missed here. Looking forward to see you again on your vacation. Thank you and Have a nice day. Dear, Thank you for choosing Rema Tourist Inn. We appreciate your effort for giving us your time writing us your review about your recent stay here on our place. 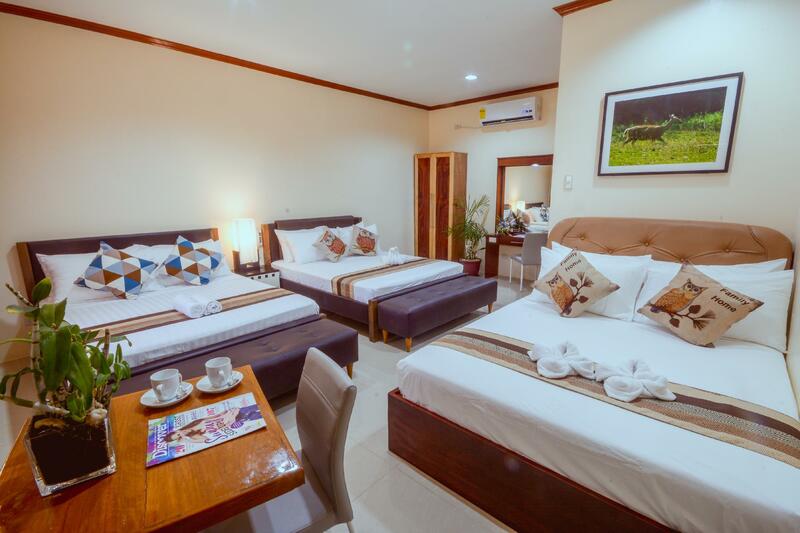 Our Inn's location is intentionally made far from the city to obtain it's eco-friendly ambiance and quietness of the place that will surely help our valued guests relax and become stress-free. Thank you very much for commending our staff and sharing a great review. We work really hard to offer a great accommodation and we are happy that it reflect on your stay with us. It's always been our goal to provide you a comfortable place to rest. Hope to see you again here on your next vacation. No establishment near the hotel but they have free shuttle going to and fro the airport. Free service going to the souvenir shop but going back will be on your own cost. We arrived at 4pm but our room is not yet ready. Hourly extension is possible depends on the availability at reasonable cost(100php / hour). Extra careful on their steps as i fell on their rocky ground. Thank you for sharing your insight and letting us know about the issue. We appreciate your effort for giving us your time writing us your review about your recent stay here on our place. Our Inn's location is intentionally made far from the city to obtain it's eco-friendly ambiance and quietness of the place that will surely help our valued guests relax and become stress-free. Meanwhile, We are truly sorry for what happen during your stay and we didn't match your expectation. Rest assured you that we will use your comments to make our service even better and to resolve this issue. Again we are truly sorry May God bless you all the way. Thank you. overall what was shown in the pix are exactly the same. we'll come back again. Nice and clean room, good food, accomodating staff and clean swimming pool our daughter enjoy the pool. They also have free airport transfer and free souvenier shop transport. We definitely recommend this hotel. We stayed here for one night and were upgraded to a very spacious, 4 bed room! The bathroom is nice, shower is good. Had a nice big, clean pool and room service available. We stayed in room number 4 and found the air con very tricky to work and if you like to have your lie ins, maybe bring your own curtains as theirs let in a lot of light! Dear, Good Day! Thank you for sharing your review with us.We are delighted that you liked the place and your room. We are sorry to hear about the aircon and curtains and letting us know about this issue. Rest assured you that we take actions with all your concern. Thank you and Have a nice day! Staff were very helpful. Tell them what you need and they will be happy to do it so guest will be happy too. Thank you so much. You made our stay and adventure as a worthwhile experienced. God Bless your business and keep up the good services to customers. Dear, Good Day! Thank you for sharing your wonderful review. Our heart is pounding with joy for all the good comments you have given us. All the hard work pays off. Thank you for commending our staff and letting us know that we did great during your stay. It's truly admirable to have a guests like you guys. Thank you for taking your time writing your insights. You will truly be missed here. Have a nice day! This was our first hotel in the Philippines and after a 33 hour flight, having a nice place to stay with a pool was crutial. This place met our requirements wiith a great location, friendly staff, and a great room to rest our tired heads. I've checked the reviews before we booked Rema. The positive reviews are all true. Kudos to all of their staffs especially their Receptionist. Our expectations were all met. I will still choose this place for our next visit. Quadruple room is so spacious, clean, the and beds are nice. It is a relaxing place with a good location. 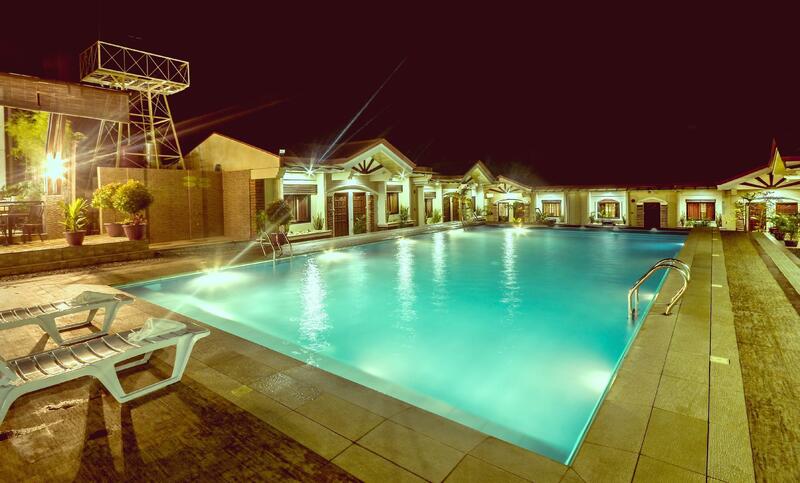 The pool is nice, quite warm so you can enjoy swimming during night time. I just recommend that the pool be opened for swimming earlier than 10 am so visitors can enjoy more. We stayed at Rema for 2 nights and loved it. Hotel rooms were very nice and clean. The pool and area around is beautiful and we were shocked that there was not more people there during the day. When we arrived we were greated by the staff with warm smiles cold drinks and helping hands. A big thanks to all of you at Rema for a wonderful stay! we stayed here for 2 nights and we can't say anything negative about it. the staff are very friendly and accommodating. we planned to just leave our bags first as we'll be picked up for a tour because we arrived before checkin time but to they allowed us to check in early since our room was already ready. 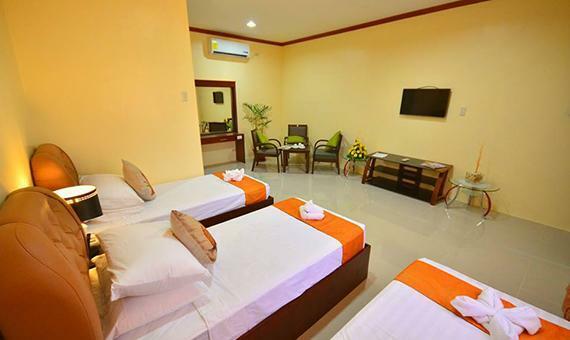 good pool view, modern facilities, clean and spacious room!